There is a 1P2T switch for HC-05 operation mode set. When the switch is set on “DAT” side, the HC-05 will work in the data mode. When the switch is set on “CMD” side, the HC-05 will work in command mode, in this mode, Iteaduino/FT232R could send the AT command to centigrade the HC-05 module (Using Baud Rate 38400). To change the mode, you need to reset the iteaduino BT after you put the switch. There is a jumper to set the connections of HC-05. When the jumpers are set in B side, the HC-05 communicates with FT232R to USB/PC, when the jumpers are set to A, the HC-05 communicates with Atmega328P(onboard). The datasheet of the Iteaduino BT contains some errors which disables standard usage of the arduino clone. 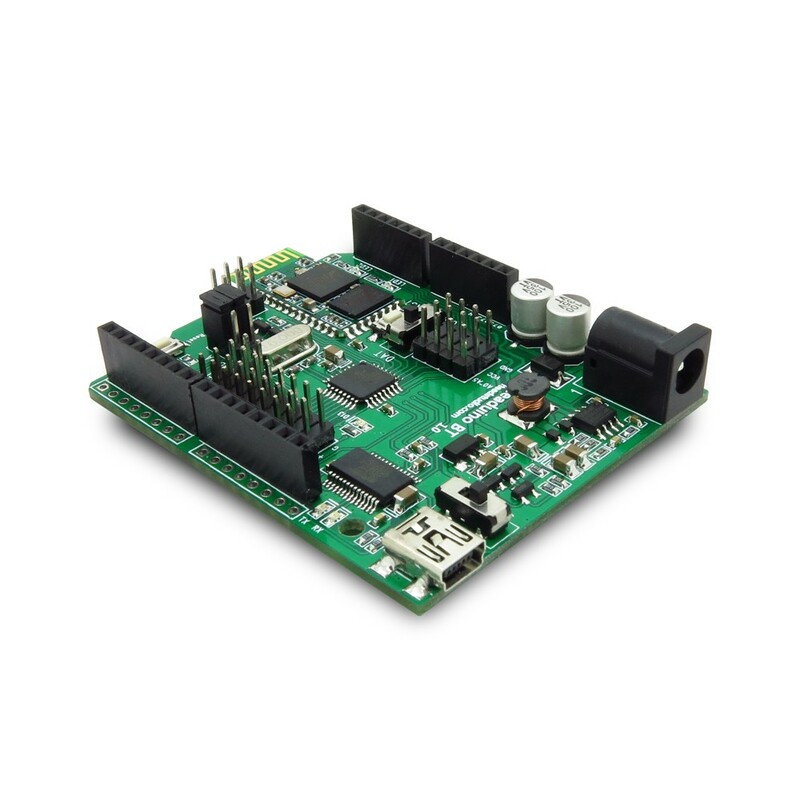 There are many ways to have an Arduino connected: Ethernet, Infra-Red, Wifi, ZigBee, Bluetooth… This post is about an Arduino card that comes with an embedded bluetooth module: the Iteaduino BT. The original Iteaduino BT does not support wireless programming, we can guide you to hack it, and make it support the Bluetooth programming function.